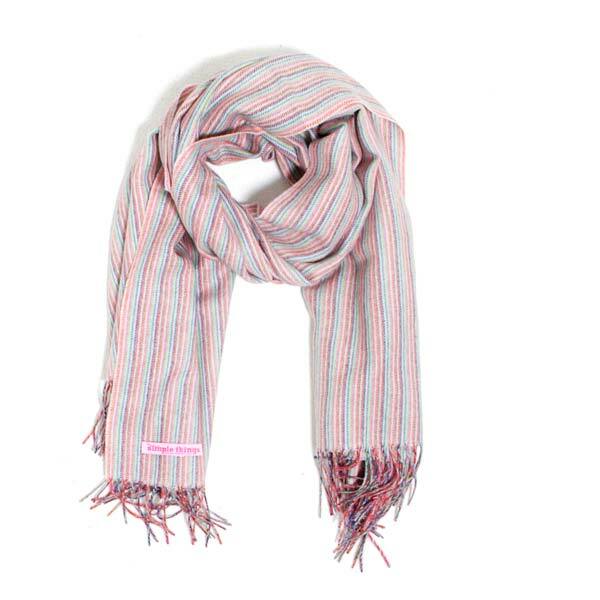 A super soft XL multi stripe scarf. 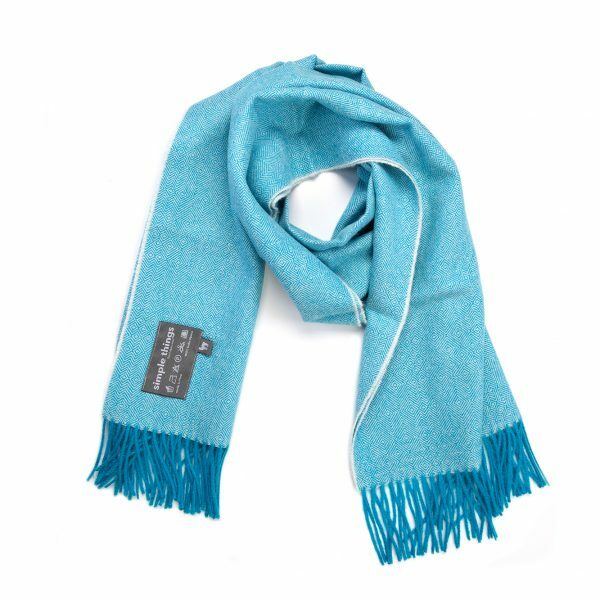 Beautifully soft woven striped oversized scarf that will keep you warm and snug indoors and outdoors. 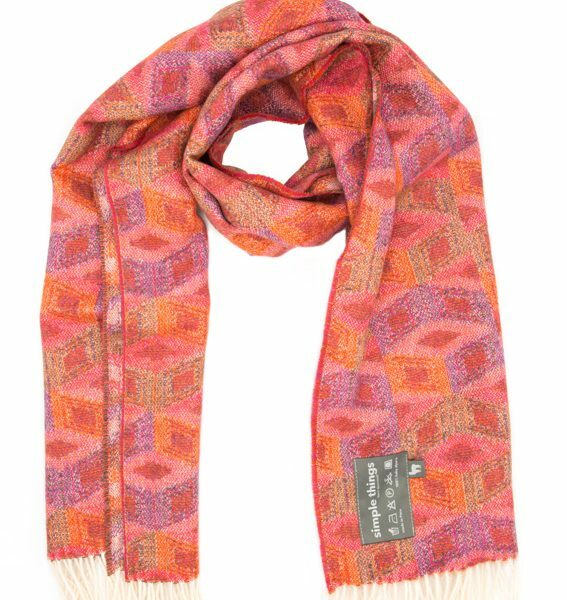 The twill striped pattern is created with a multicoloured warp including Red, Pink, Duck egg, Orange, Donkey, Navy, Green with a neutral Ivory weft. Hand finished with a twisted multi coloured fringe. 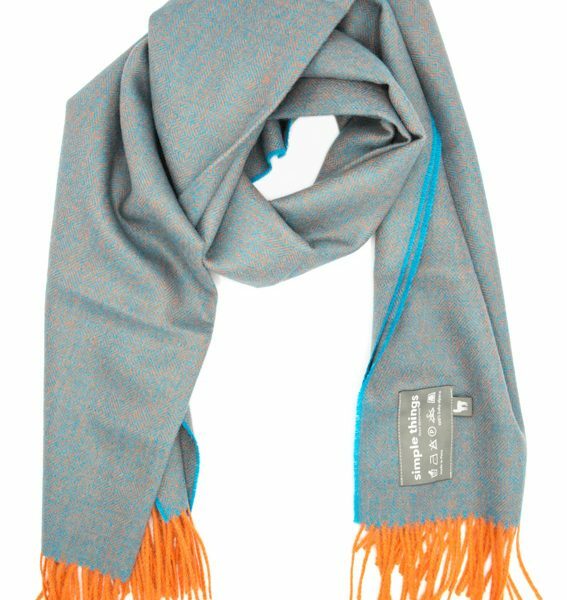 Complete any outfit and keep yourself warm with trendy striped throw wrapped around you. The perfect pop of colour and texture to any outfit. The perfect gift for someone special or to yourself.